TORONTO, ON (January 26, 2010) – The National Hockey League Players’ Association (NHLPA) announced today that hockey fans can join the NHLPA in raising funds for the Hockey for Haiti relief project by participating in an online eBay.ca auction, which fans can locate on www.nhlpa.com. All proceeds raised from the auction will help World Vision strengthen Haiti’s ability to provide critical healthcare and medical care to the Haitian people. The auction features one-of-a-kind hockey memorabilia donated by the NHLPA, its members and other charitable individuals. The first phase of the auction features many fantastic items, including signed jerseys by players such as Sidney Crosby, Zdeno Chara and Luke Schenn, as well as signed photos by Alex Ovechkin, Tomas Plekanec, Steven Stamkos and Jonathan Toews. In addition, 2009 Winter Classic jerseys worn by Patrick Kane, Brent Seabrook, Pavel Datsyuk and Kris Draper are included in the first phase of auction items. Game-used, autographed sticks from soon-to-be Olympian goaltenders Antero Niittymaki and Jaroslav Halak will also be included in the first phase, as well as game-used, autographed sticks from Scott Gomez and Sergei Kostitsyn. Fans will be encouraged to make a financial contribution directly to the Hockey for Haiti project through an online link to the World Vision website www.worldvision.ca/hockey. Players are also encouraged to pledge a donation, through the players-only intranet site. Notable items will be added to the auction over the coming days, including an autographed Ovechkin jersey; numerous framed autographed photos of NHL players; several signed sticks by NHL players, including the entire Tampa Bay Lightning roster; event-worn jerseys from the 2009 and 2010 Winter Classic games; and a heritage stick signed by members of Canada’s 1972 Summit Series team. Items donated by world-class boxer Jean Pascal and mixed martial artist Georges St. Pierre will also be included in later phases of the online auction. 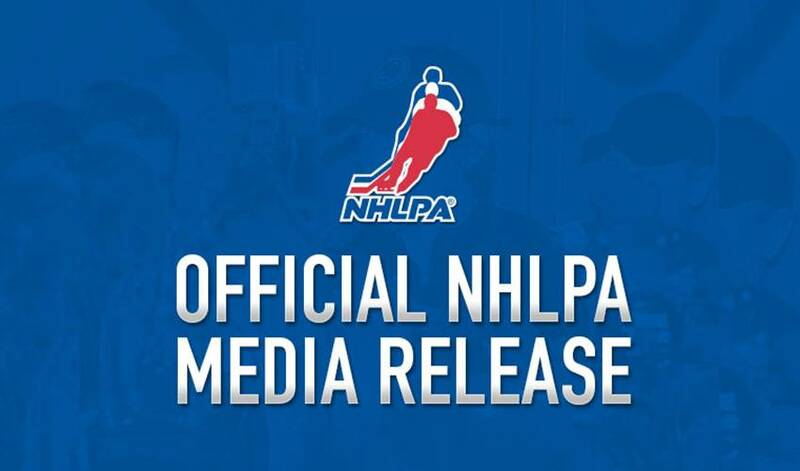 Last week, the NHLPA and veteran NHL player, Georges Laraque, announced a partnership with World Vision to support the people of Haiti through the Hockey for Haiti project. To launch the players’ relief support for Haiti, the NHLPA Goals & Dreams fund pledged an initial donation of $100,000 to Hockey for Haiti, through World Vision. Fans are encouraged to visit www.nhlpa.com to connect to the online charity auction, which is being hosted on eBay.ca. Information and updates will be posted regularly. The auction is expected to last approximately one month, and updates on each round of the auction will be announced.